Learning about marketing can seem daunting for an entrepreneur, but it doesn’t have to be. There are only two things you need. You have to regularly take the time to learn more about it and know the best resources to learn from. We took care of the resources angle. 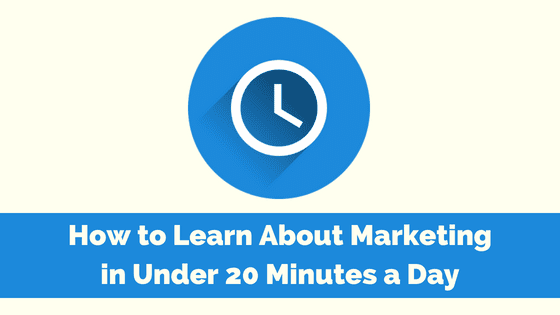 You’ll find a starter list for you to learn more about marketing in short amounts of time below. Make a commitment to set aside 20 minutes every day. It can be in the morning when you first start your day, before you leave for the night, or during your lunch break. This is the most essential thing: committing to consistent improvement each day. Before you start worrying about marketing, learn the most you can about your business and set goals that can help you succeed first. Knowing what demographics you’re going to market to as well as how your product will help them is essential. This knowledge allows you to maximize your marketing exposure and keep your business organized. Search engine optimization (SEO) is one of the best ways to get online users to learn about your business, product, or service. SEO can be the difference between your company showing up on the first page of search engine results and the fifth (or beyond). There are dozens of SEO guides on the internet, but the Beginner’s Guide to SEO is the best place to start. It breaks the basics into ten simple chapters you can read at your own pace. It seems daunting, but if you spend 10-20 minutes on each chapter you’ll finish it all in just two weeks. That will give you a much better understanding of SEO and how it affects your business. Social media owns the marketing game in this digital age; people spend more time on social media than anywhere else on the web. 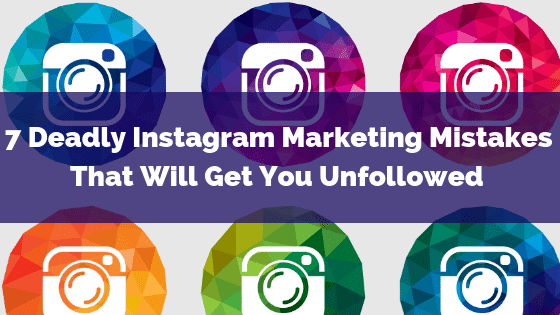 As mentioned before, knowing your market and demographics is a large part of marketing on social media. You wouldn’t want to market a product for an older demographic on Snapchat. You also wouldn’t want to market a product designed for a younger demographic in the newspaper. Where you post is just as important as what you post. While social media marketing is a large beast, you can learn about each individual aspect of social media marketing in blocks. This enhances your overall marketing tactics and understanding of other aspects of your industry. One of the fundamentals of marketing is AIDA: Attention, Interest, Desire, and Action, so storytelling is a good way to grab your market’s attention. 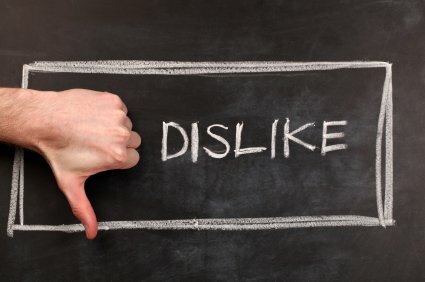 Many entrepreneurs know that customer reviews can make or break a business. Reviews often contain stories of people’s personal experiences, and they’re the digital version of word-of-mouth. While you have no control over what people write, you can market positive responses and stories to increase your prestige. You can even use the storytelling aspect of public relations to build strong relationships and connections with employees and customers. This kind of marketing shows others you’re worth knowing and working with. Many companies offer blogs and resources to help you reach your customers. Don’t be afraid to take advantage of these tools and information that companies have to offer. You don’t have to commit to the service to reap the benefits of the blog. You can find anything from a tone of voice generator to expert opinions and advice from other business owners on the OPEN forum. All it costs you is some of your time, which is necessary to better yourself and your business. Time is a commodity for many entrepreneurs, but it’s worth the time. Use these tips and take twenty minutes, or less, out of each day to increase your business’s exposure, scope, and clout. What tips and tricks do you have for committing to consistent improvement in marketing? Tell us in the comments below! 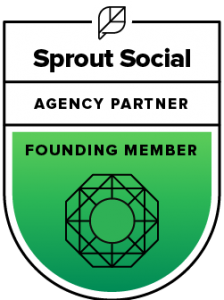 Shea Drake is a MarTech writer and lover of technology and how it affects the way people work, live, travel, and play. You can find more of her writings and stay in touch via Twitter @sheadrakephoto, she'd love to hear from you. 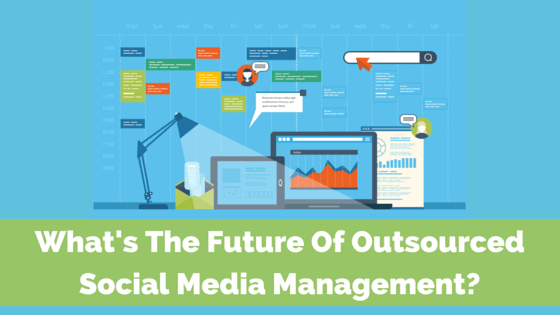 What’s The Future Of Outsourced Social Media Management?